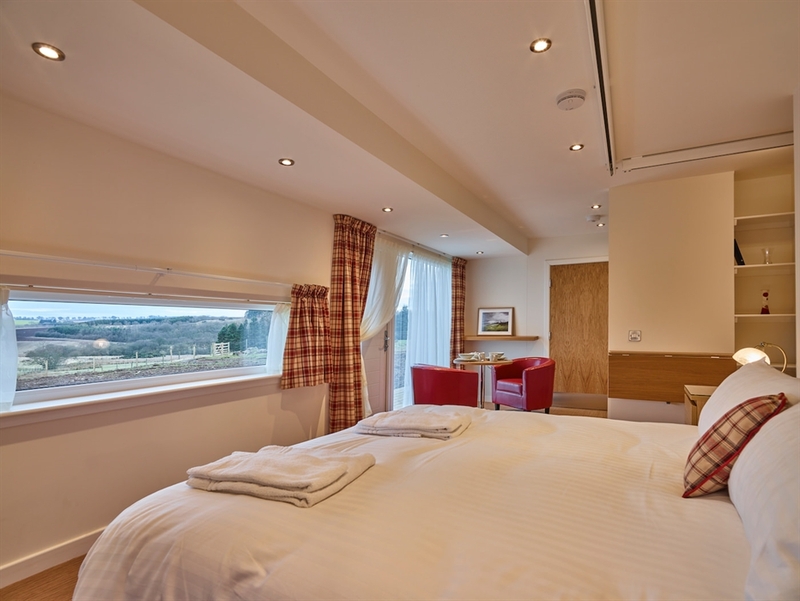 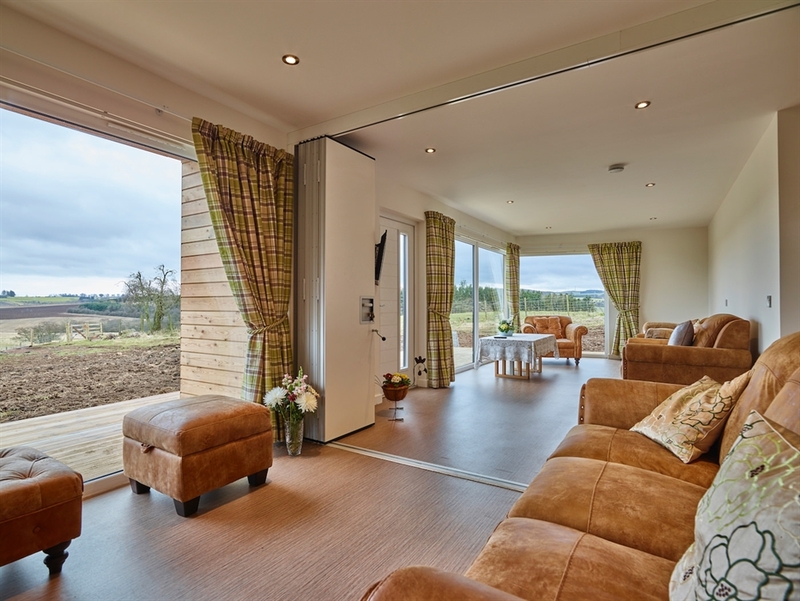 Our modern rural cottages with stunning views over open Fife countryside can accommodate families/groups of up to 16 people. 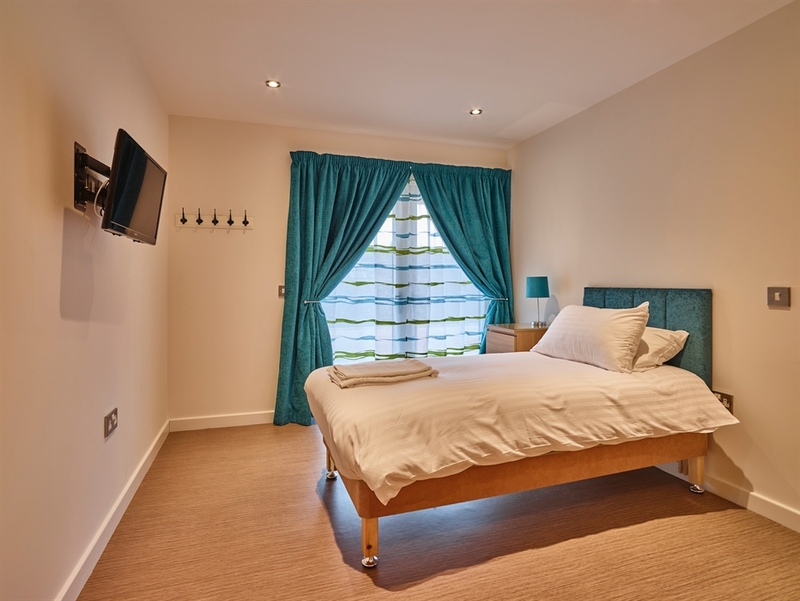 Our slogan is Holidays for All and we aim to provide this in high quality accessible self catering accommodation. 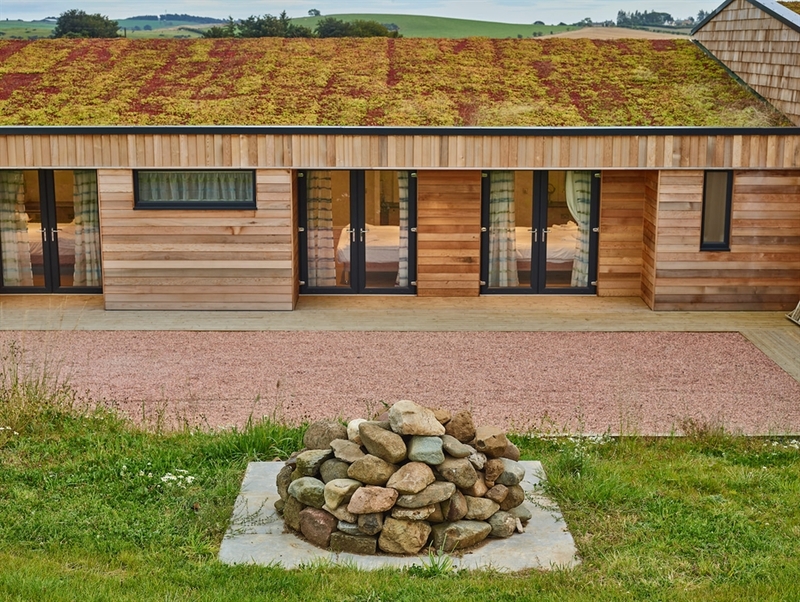 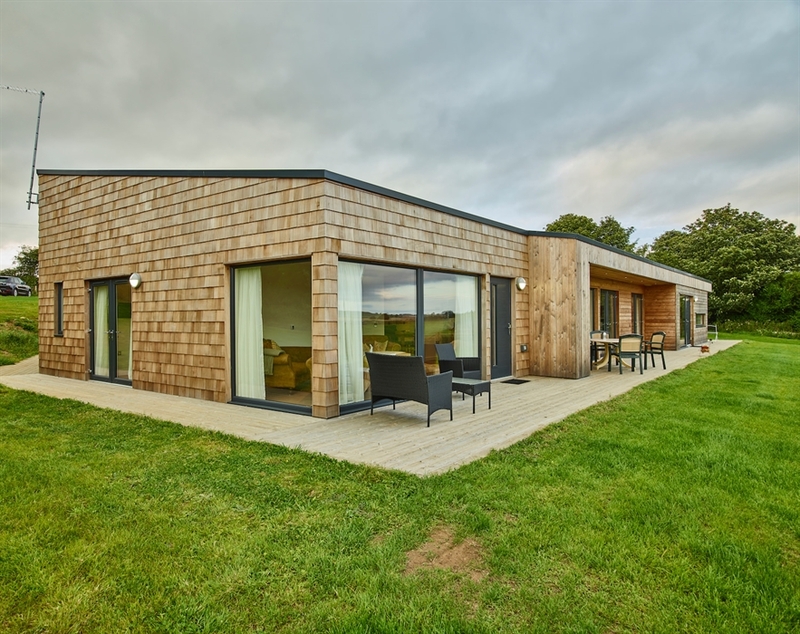 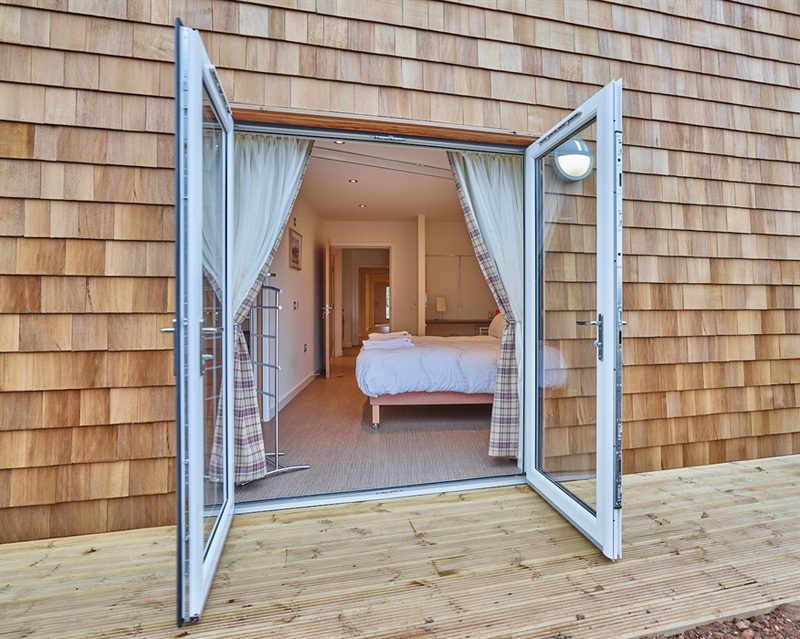 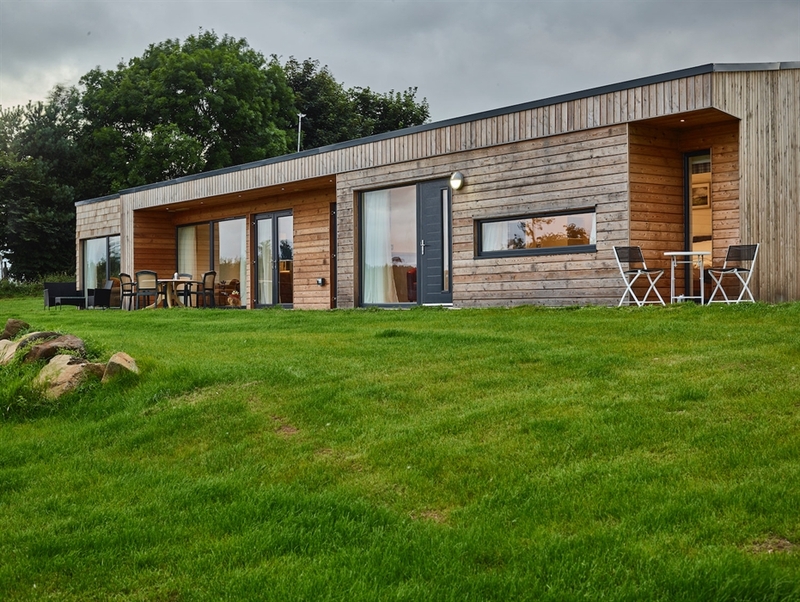 The cottages are bespoke design by award winning architects and set in 90 acres of peaceful Fife farmland. 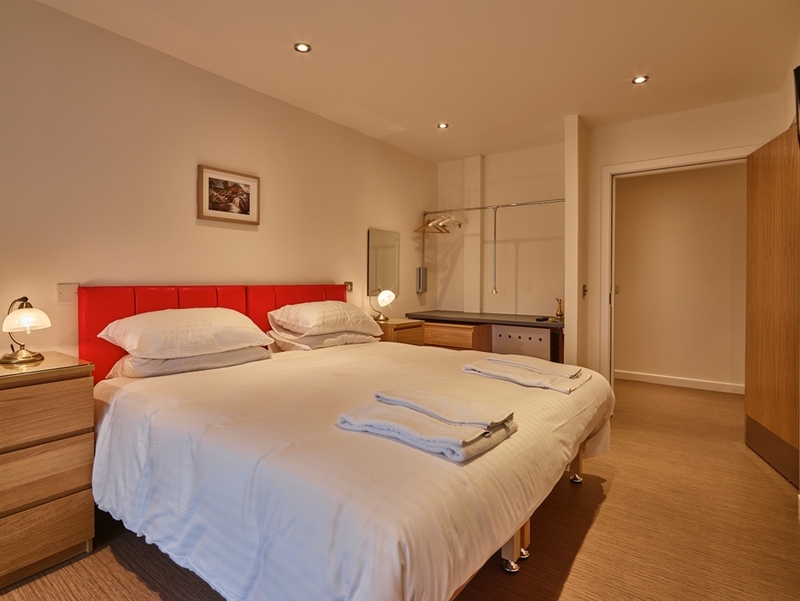 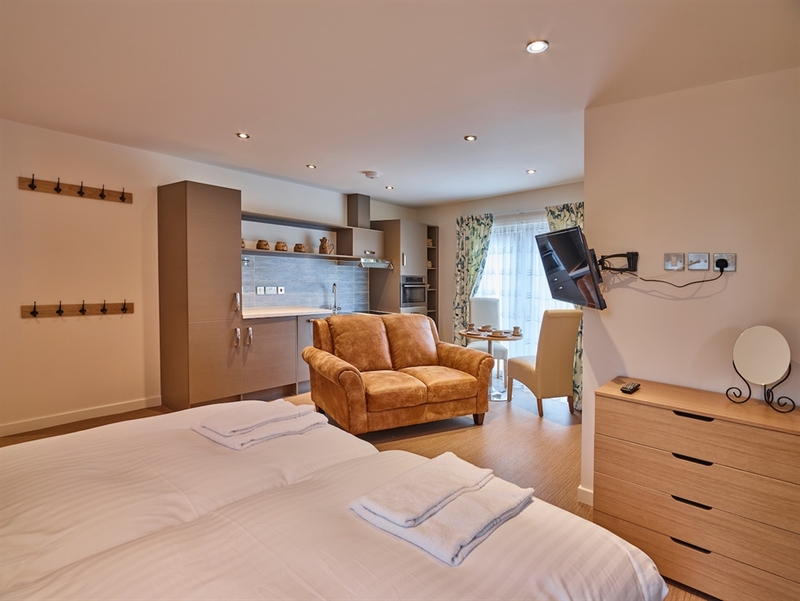 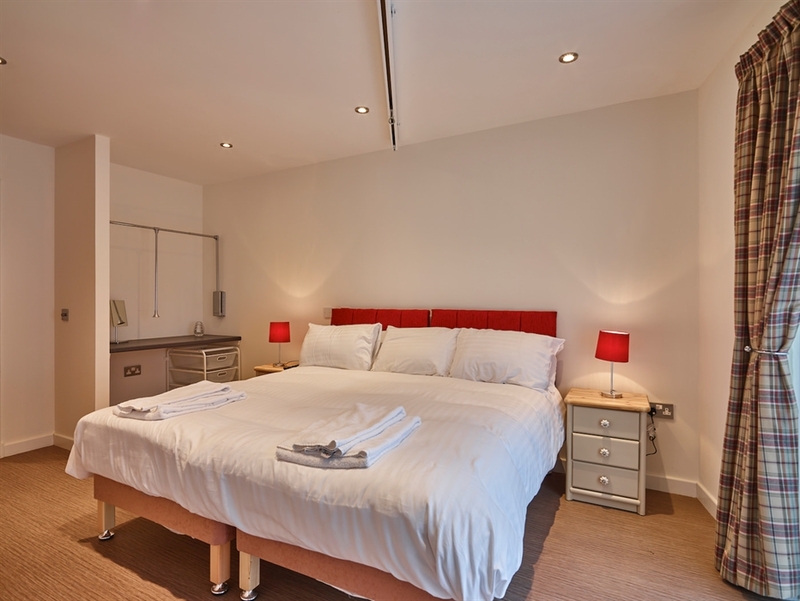 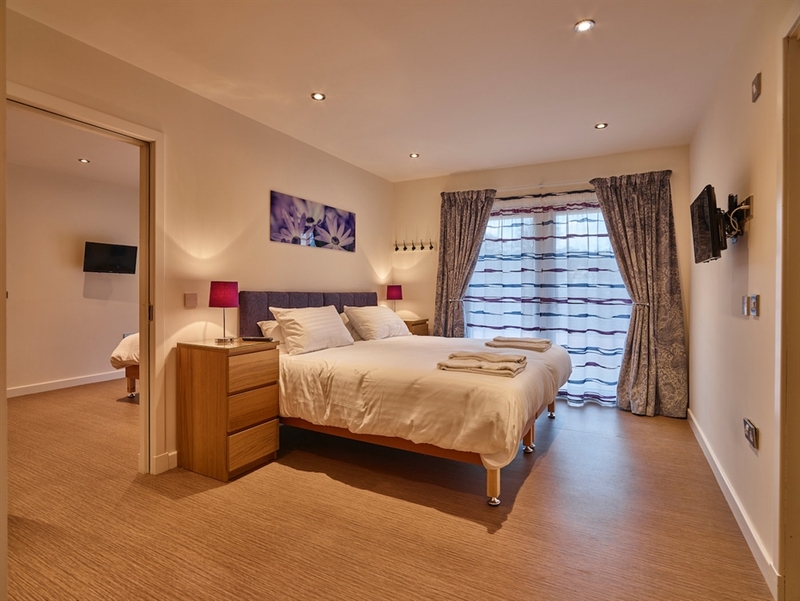 Each of our eight bedrooms has an ensuite wetroom and bedrooms have French doors whilst studios have independent entrances. 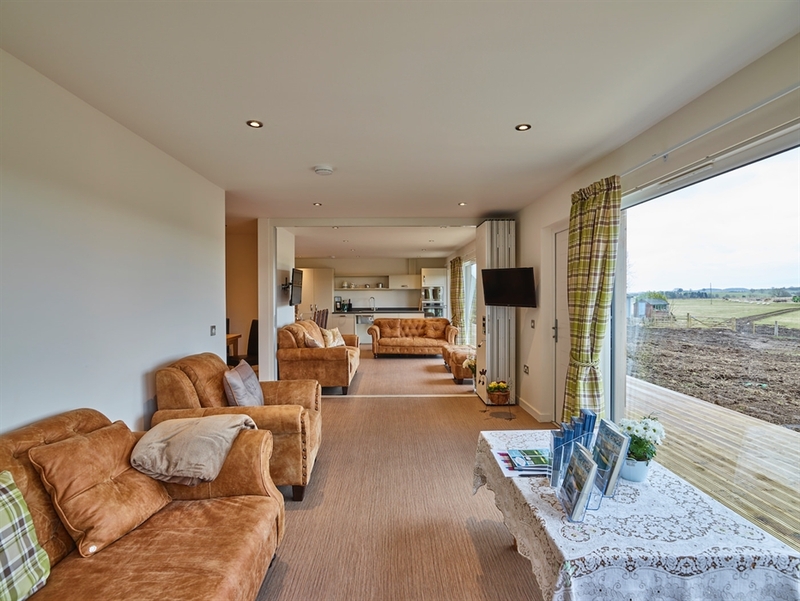 The cottages can be sub-divided to allow smaller groups to book what they need. 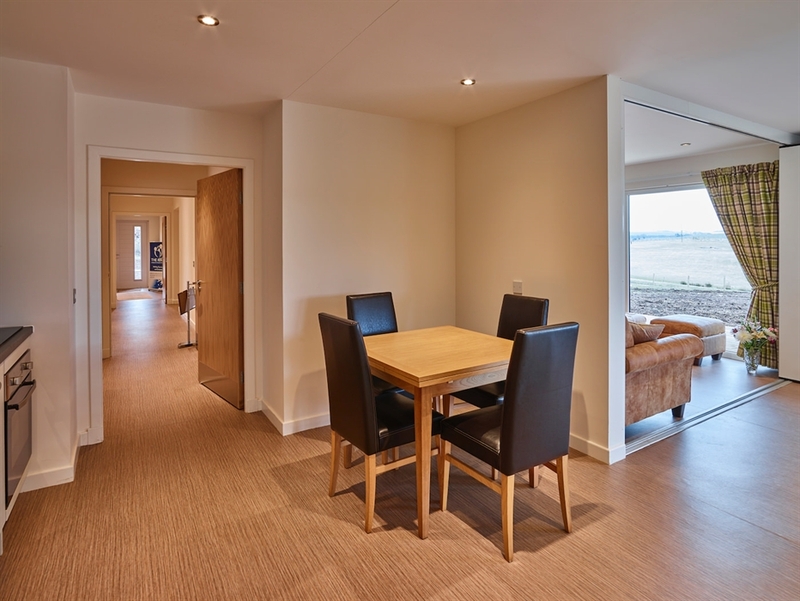 The wall between the two main living areas can move to make one large open plan space. 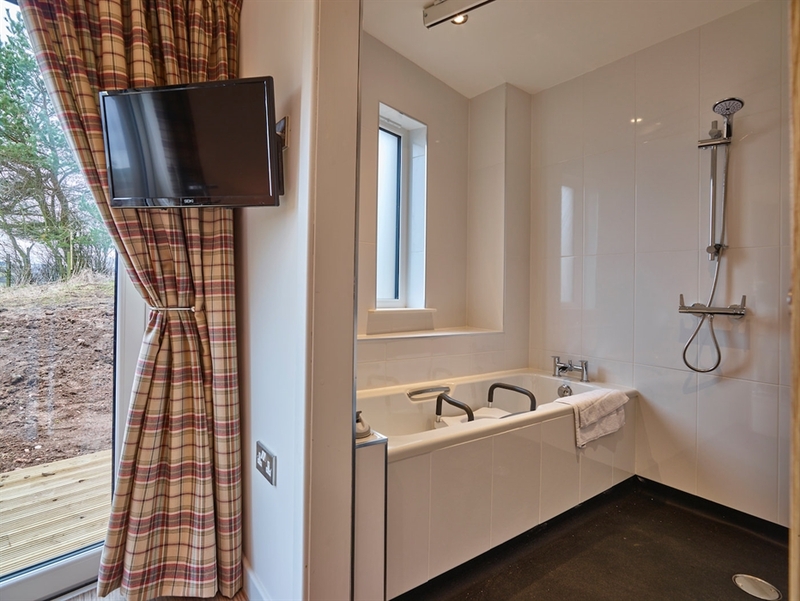 8 bedrooms with ensuite wetrooms.